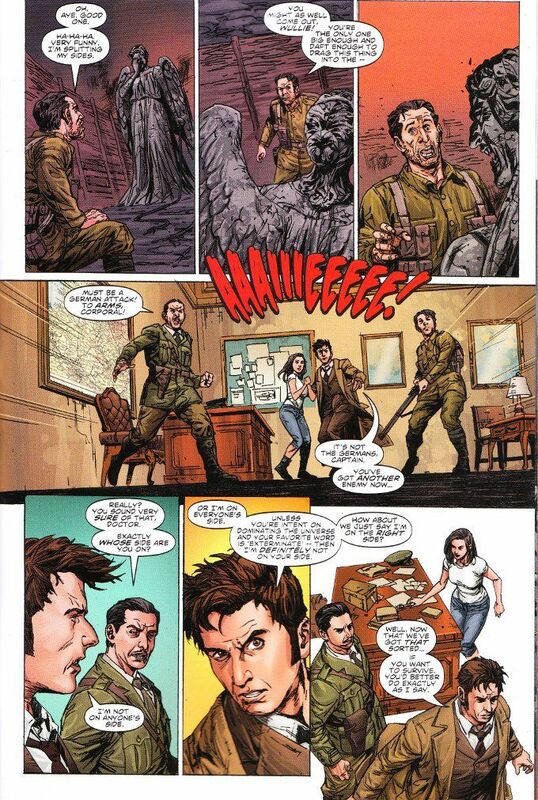 The Doctor and his newest companion - aspiring artist Gabby Gonzales - find themselves trapped in the chaos of WWI. With the TARDIS seemingly blown up in the middle of No Man's Land and the sonic screwdriver now in the hands of the British Army, it will take all their cunning to avoid being shot as spies. And then there's the problem of the army of Weeping Angels, who have found the front-lines of WWI to be a most agreeable feeding ground. Author Robbie Morrison turns what might have been yet another siege story where The Doctor butts heads with oblivious military minds into a truly ripping yarn. There are a number of lines here that will bring David Tennant's voice into the reader's head unbidden. 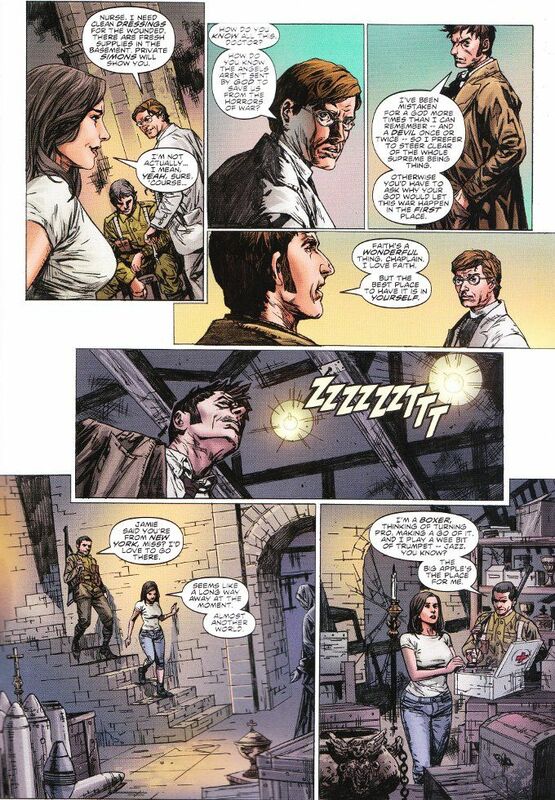 Morrison even offers up a explanation of The Weeping Angels on the off chance there's someone reading this comic who has yet to be exposed to them on the show... unlikely though that may be. The artwork by Daniel Indro is rough yet serviceable. Indro's gritty style is a good fit for the story, which does not shy away from depicting the horrors of war or the terrible fates awaiting some of the time-lost soldiers. However, his inks get a bit heavy at times and obscure the original pencils.